Music can make or break your writing flow. I’m all over the place when it comes to music. I know what I like when I'm just driving in my car or working out, but when it comes to writing, I just can't seem to find a pattern. I tend to find one or two songs that I really connect with, and I'll just play them on repeat until the words get on the page. Then I get bored with those songs and have to start all over again. It's a vicious cycle. And of course, every type of scene requires a different sound. Action scenes, emotional scenes, heist scenes, romantic scenes. You have to tailor the sound to the scene. If you're killing off a character, you probably shouldn't listen to "Happy Days Are Here Again." Then again, who knows? We all have our quirks. So rather than waste hours trying to pick that "perfect sound," I figured I'd help you out with sharing a little from my very own writing playlists. Where to get your listening experience: I use Spotify, which I definitely recommend, but any other music source works too. Some people think Spotify is a bit intimidating, having basically every song at your fingertips. For people who like a pre-packaged soundtrack, I'd suggest the 8 tracks website. If you follow the link, it'll lead you right to playlists with the "writing" tag. It's a wonderful resource. Let's talk action. 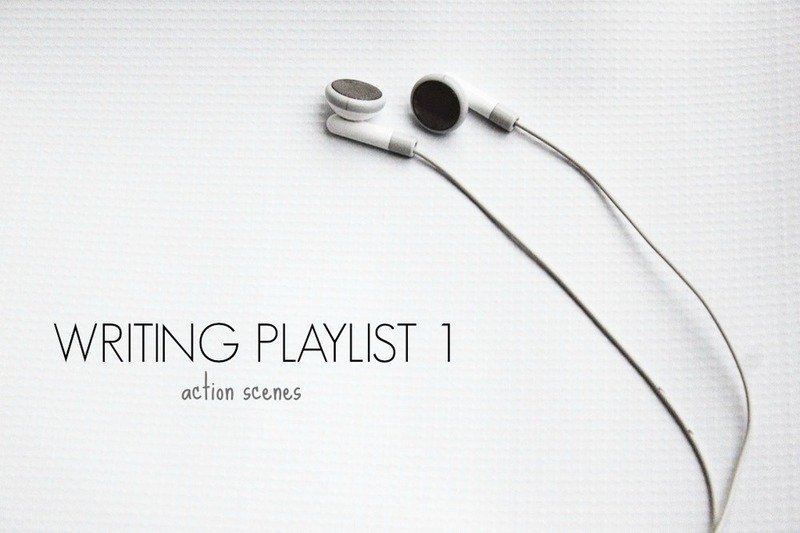 When I write action scenes, I want a writing playlist that pumps me up. I like songs that build, songs I can get lost in, and songs that reflect the magnitude of the scenes I'm writing. Music should enhance, not distract. So below you can find my writing playlist, and yes it's girly and yes it's cheesy and yes it's awesome in every way.